It's about time to switch gears, from running to cycling. When my Achilles started acting up at the end of February, I pretty much freaked out because I needed to get ready for my first half-marathon in Phoenix, but I couldn't run. In one way the injury was a blessing in disguise because it forced me to start cross-training earlier than I had planned though possibly later than I should have. For two weeks between races, I did nothing but swim and cycle. Although, in all honesty, that's not entirely accurate. See, it was stiiiiiill (and forever) snowing outside: blustery, temps in single-digits, miserable. You KNOW how much I loathe the cold. And although my good friend Russ let me borrow a bike just before Christmas, it wasn't just the cold. I was also wary of said-bike. In fact, each time I ventured through the garage for three months straight, Mr. Bike and I had a staring match. And all winter long, he won every time. I would leave the garage with my head low, eyes cast down. So, how did I cycle in prep for my half? 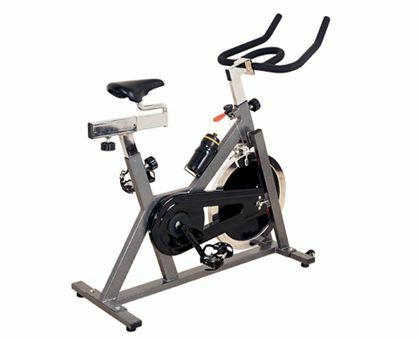 It wasn't pure, but I joined a spin class. My class is led by Stan Swallow who won his age-group in the USA Cycling National Championship in Bend, Oregon in 2012. No wait! Did you actually hear that? He WON *first place* in his age-group in the USA national masters road bike championship. So, basically he's super amazing. And I'm in his class. Just so you know, intervals hurt. But isolations hurt more. Thanks for the quads, Stan. What's really great about Stan is that he's not just super-human, he's also super-helpful. He helped me adjust my spin bike the first several times I came to class and taught me how the bike should fit to my body. When class is over, he stays extra long and answers a few hundred questions I have about everything cycling. And he's super-nice, too. For example? He remembers my name. So when, last Thursday, Stan invited me to hit the street and bike with him over the weekend, I freaked out again. See? That bike. The one I borrowed from Russ. Yeah. It was still definitely firmly in control of our relationship. And by relationship I mean, we didn't have one. Thankfully, my schedule didn't mesh with Stan's this week, which gave me a very, very short time to get over some very, very large fears. But over the weekend, I had to get on that bike. Mr. Bike and I faced each other, his stalwart stillness daring me to move first. I juked and rolled, slipped a bandanna over Mr. Bike's eyes, jumped on his back and got him in a choke-hold. I did that a few more times before realizing I needed an ally. He came by Saturday afternoon and helped me tamely associate with my soon-to-be-former enemy. I wobbled around my cul-de-sac a few times before we headed north along the Murdock Canal trail. Russ spoke soothingly to me and Mr. Bike as I jerked and shimmied along the first couple of miles, freaking out (seems to be the theme) at every street crossing. After a while, I sorta got my bike legs under me. We sped along the trail (and by "sped" I mean Russ went really really fast while I tried to keep up and couldn't) until the pavement ended, and we turned around to head back. By the time I was home-home, Russ had gotten me to ride on a street (with actual cars), up a steeply-graded hill (part-way... I was a wuss and turned around after not too long), and DOWN the same hill (which I did at a snail's pace, jamming on my brakes the whole way). Despite my fears, the experience was fantastic. I'd forgotten how fun it is to ride. I enjoyed it so much that I took off solo on a second ride later that night for a total of about 20 miles. Finally, back in the saddle. For the two of you I haven't already told, guess how many years it had been since I'd ridden? The last time I mounted a bike was 14 years ago. KRISTEN: "Did you have something scary happen on a bike?" ME: Yes. But not too scary. And that's not really why I haven't been riding. FAITH: "I'm curious too--you haven't been on a bike for 14 years?" ME: Okay, here's the scoop. The last time I rode, I was clipping along rather quickly on a trail only slightly wider than the width of my bike. For a short distance, the trail went through a residential area and was hemmed in on both sides by chain-link fences. As I turned a tight corner at high-speed, my handlebar caught in the fence, and I went down. It was not embarrassing so much as unceremonious. And sudden. And gravelly. I was on the ground before I realized what had happened. There were some minor searing pains, but nothing a few seconds of brushing-it-off couldn't fix. 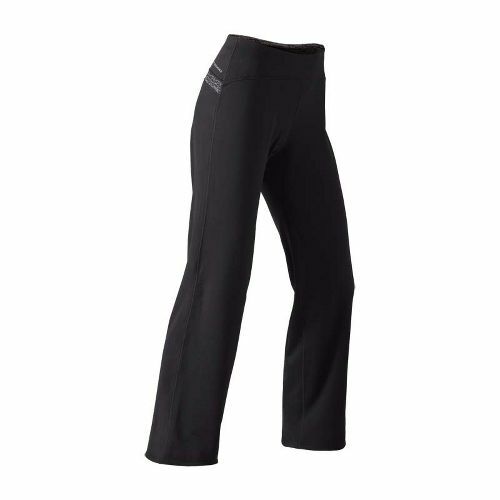 My knee hurt the most, so I checked my pants for rips / tears / holes and, seeing none, jumped up and tried to catch my partner who hadn't seen me bust and by then was well down the trail. When we reached our destination I rolled my pants-leg up and found my knee was rather mangled underneath. My trousers were black, so the blood hadn't been obvious as it ran down my leg and soaked through. "bloody knees," consider yourself spared. I still have a lovely misshapen scar from the incident. I also still have those pants. Durable suckers. Mostly I haven't ridden because I didn't own a bike (mine was stolen), didn't make the time or set aside the money, and the longer it went (years, then more years, then more and more years), the more nervous I felt to try again. KARA: Also, your shoes are adorable. What brand did you end up getting? Your question makes me think of two things. 1) A Simpson's episode when a kid character holding a snow cone asks his friend, "What flavor did you get?" To which kid #2 says, "Blue!" 2) An old guy we know in Florida, whose neighbor--under direction of his wife--painted his house pink. When it happened, our relation wandered down the street and said to his neighbor, reeeeal slow-like, "Bill. You got a pink house." "Kel. You got yourself some real pink shoes there." "What brand of shoes did you get?" Reality is the shoes I wore Saturday are actually my running shoes (per fear #1, clipping in). 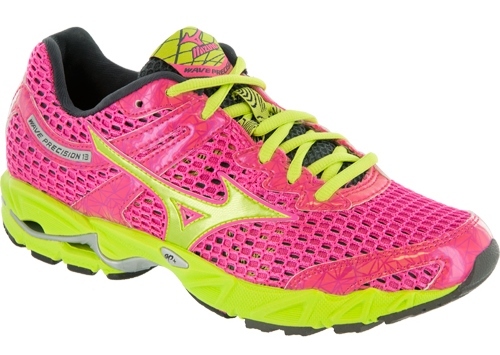 I bought two pairs of running shoes, and I alternate. The pink "blind-me" pair are Mizuno Wave Precision, exactly like my former favorite pair of running shoes, but brighter. By a magnitude of 47-gazillion. 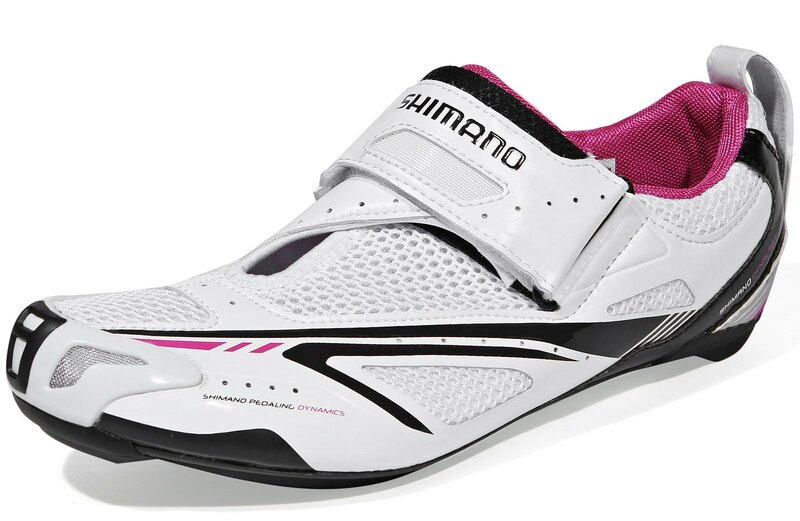 I also own a pair of Pearl Izumi isoTransition triathlon shoes which are quasi-minimalist with a 4-11mm drop, depending on who's reporting. I love them. And neither of these are my cycling shoes. 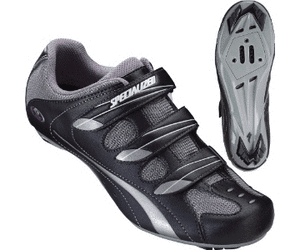 I invested in a pair of Specialized Spirita for spin class. 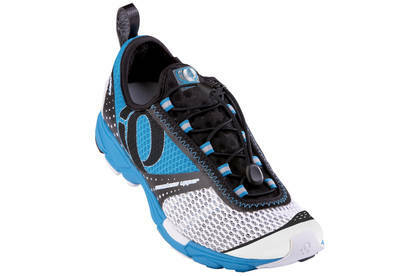 And chances are I will spring for a Shimano tri shoe of some kind for outdoor racing. But if I do, make and model are not yet determined. Though I do know I want them to be white. On the side, LINDSAY, yes! Let's hike! And to EVERYONE ELSE OUT THERE, I cannot sufficiently describe how truly concerned I was to ride again. Although I am still not 100% comfortable, I cannot now sufficiently describe how good it feels to have a fear and to push through it, not only relieving the tension of built-up worries but also realizing how much FUN it can be to try something "new." And of course, now I have one more way to stay healthy in body and spirit. So this is me, encouraging you, to finally get out there and do something on your do-I-dare?-list. Maybe even something that scares you. You talked shoes - but I want to hear about socks. Love the brightly printed ones, but more importantly, I want to know what kind of socks to wear when I'm doing a lot of walking and don't want to get sore feet and blisters. You gave me some suggestions while you were visiting, but I'd like to see it in writing (because then I won't have to try to remember it since it will be written somewhere). I loved biking back in the day, but I've never clipped-in. It does sound scary. Is it possible to "clip-out" in a hurry if need be? So you hadn't been on a bike in 14 years and decided to do an ironman? ...that is awesome! Oh, and don't worry about embarrassing yourself on a bike. If you ever think you've done something embarrassing, let me know, I think I've won the all time competition for embarrassing one's self on a bike. Socks! So what I said is that I like lightweight wool socks because they're slick, moisture wicking, comfortable, and they tend not to stink either. But it's the slick part that's most important. You want to be sure there's nothing that will rub or impress on your toes, heels, etc. I have little anklet socks I've learned not to wear because they're covered in cute stars. Adorable stars. But they imprint on my feet. 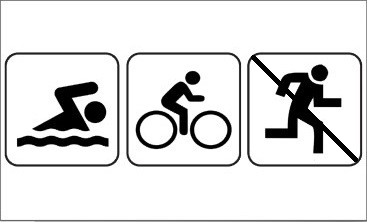 It's not a problem around the house, but it's an issue when I'm biking or running (or swimming, duh). There are even two layered lightweight socks so that the socks rub against each other, and not your foot, but I've never tried them. And if you're not going for anything useful, here's another sock shop I like: http://littlemissmatched.com/. That's where I got my fantastic marathon socks for Phoenix. I was wearing compression socks underneath them.